Stop worrying about hair loss. Do something about it. Have a question about your hair? Seeking professional help and quality treatment that really works? Talk to us! We’re here to help. 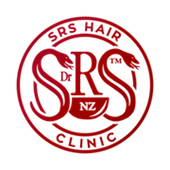 SRS Hair Clinic is based in Auckland at 15 St Benedicts Street, Newton, Auckland 1010, New Zealand. Our North Island satellite clinics are available for you in Hamilton & Tauranga (NZ), and if you are based in Europe you can visit us at our Vienna clinic in Austria. If you cannot visit one of our locations, we are happy to arrange an online consultation with you.